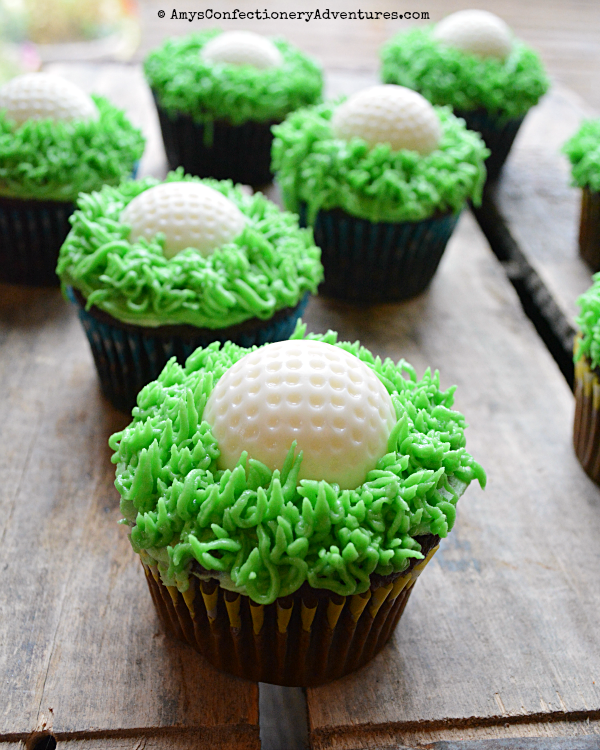 In the past 6 months, I’ve had 2 requests for golf ball cupcakes! The first was for a combined 60th birthday & 35th wedding anniversary party. The same party that featured the stunning Limoncello Cake with Blueberry Buttercream and the Music Note Cupcakes! I kept the colors simple to complement both the music cupcakes and the cake! 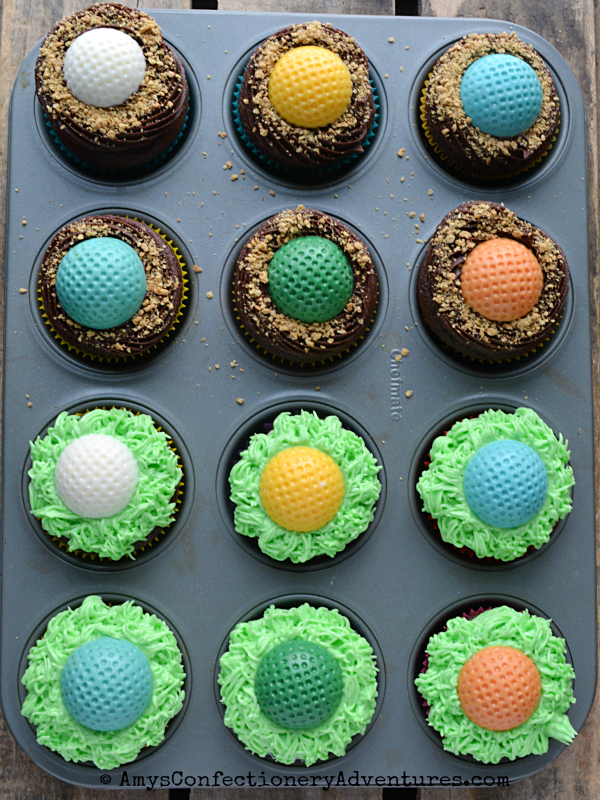 The second set was for Dude, who wanted to take golf ball cupcakes to school on his birthday after having a mini golf/laser tag cake andparty. We went wild with these colors! 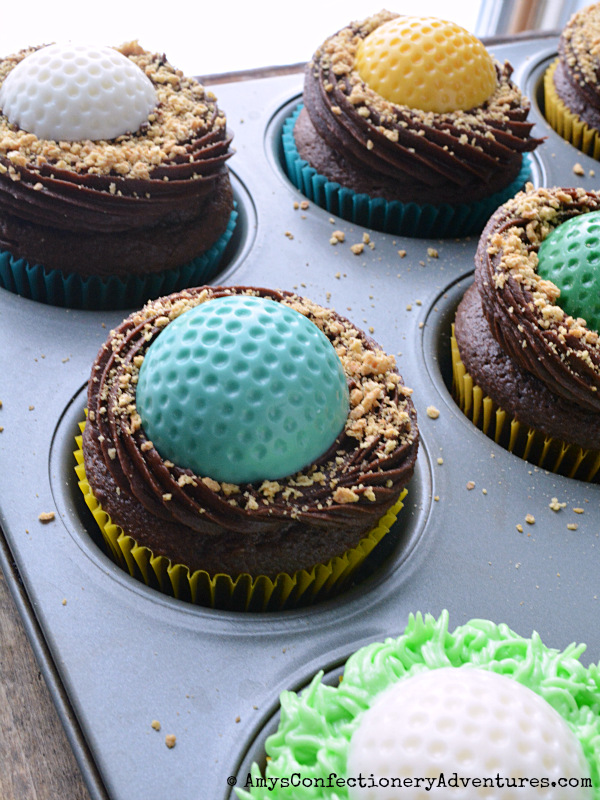 He wanted some cupcakes with chocolate frosting and others with vanilla. I made the vanilla look like grass, as usual. 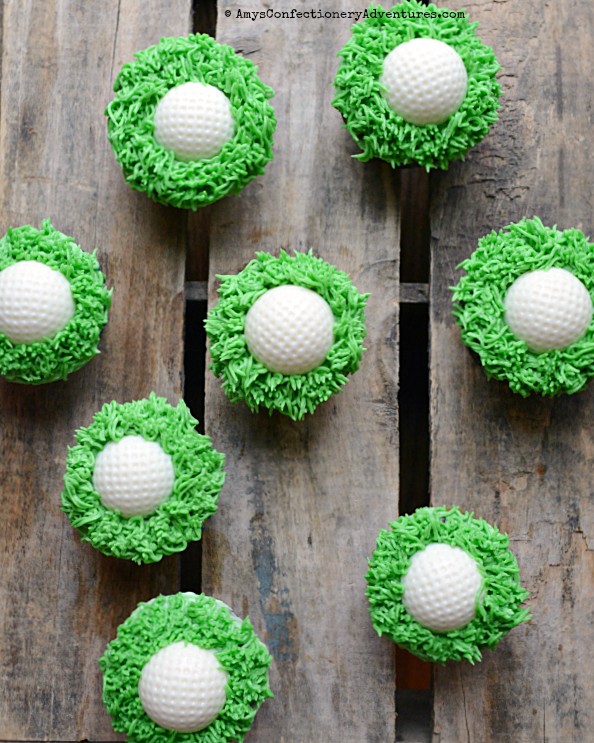 Then I sprinkled some graham crackers onto the chocolate to look like a sand trap! He (and his classmates) was a happy camper!